Please note that the heart-shaped spoon is my wife’s, not mine. 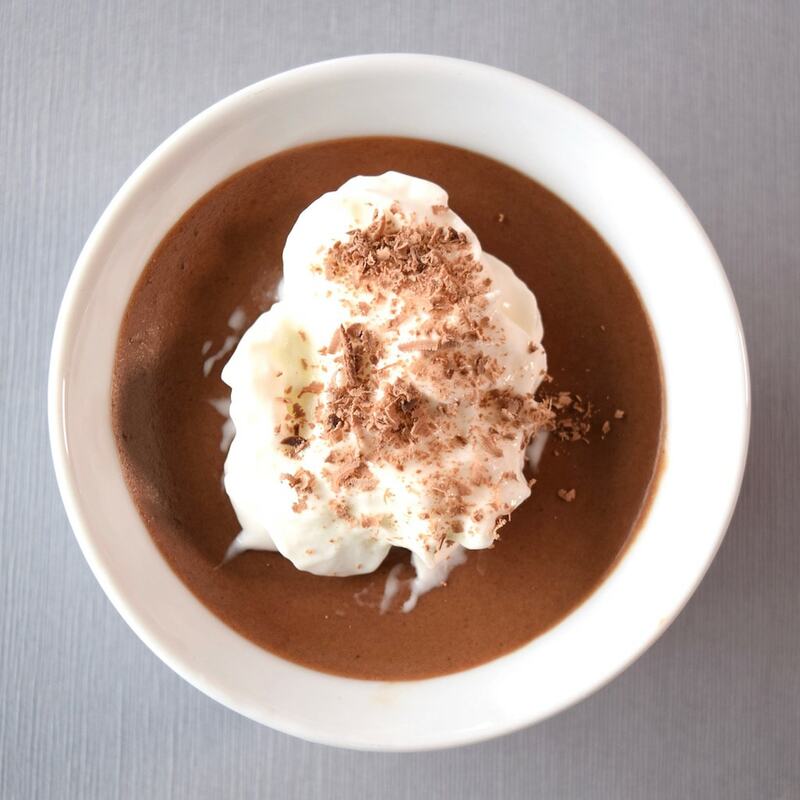 Chocolate mousse has always been one of my dessert favorites, right up there with a good crème brûlée. If you’re making it, what’s really nice is that it’s easy to make, and doesn’t cost a fortune in ingredients. 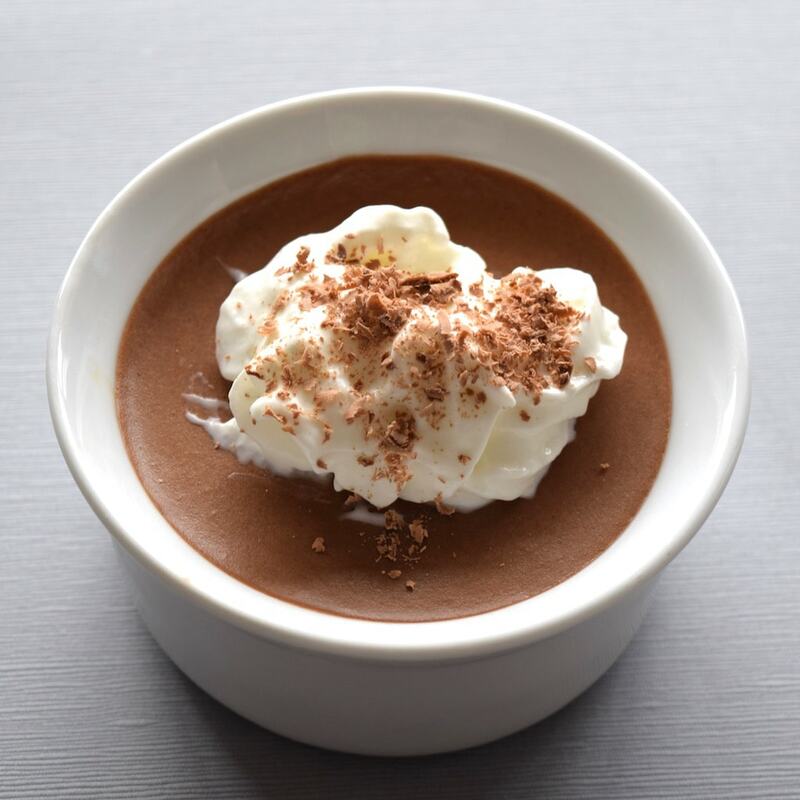 Just make sure that you use the best chocolate you can find, because great chocolate makes for a better mousse. I used Food & Wine’s Ultimate Chocolate Mousse recipe, which dates back to one of their issues in 1984. Again it’s super-easy to make, but this recipe has one ingredient that I did skip out of salmonella fears*: raw egg whites. I skipped this ingredient to no ill effect of flavor, though I’m sure it affected the airiness of the dessert. Start heating the chocolate in the top of a double boiler over gently simmering water. Cook slowly, stirring until melted. Remove from heat and set aside. Add the egg yolks and 3 tablespoons of water to a heavy saucepan. Cook over VERY LOW heat, whisking vigorously and constantly until the yolks begin to foam and thicken. (If you cook them too fast, you’ll end up with scrambled eggs.) Add the liqueur and continue whisking and cooking until the sauce thickens enough to coat the back of a spoon. Remove from heat and run through a mesh strainer to remove any solids, though there really shouldn’t be if you cook it very slowly. Be patient. Fold the melted chocolate into the egg/liqueur sauce and transfer this mixture to a large bowl and set aside. Beat the cream with an electric mixer on high until stiff peaks form. Add 2 tablespoons sugar as the whipped cream nears completion. Fold into the chocolate mixture. Because I skipped the next step, which calls for a lot of sugar, I added 3 tablespoons sugar in this step. Here’s the step I skipped because of the raw eggs: using an electric beater with a whisk attachment, beat the egg whites until soft peaks begin to form. Beat in the remaining sugar and continue until stiff peaks form. Fold into the chocolate/whipped cream mixture. 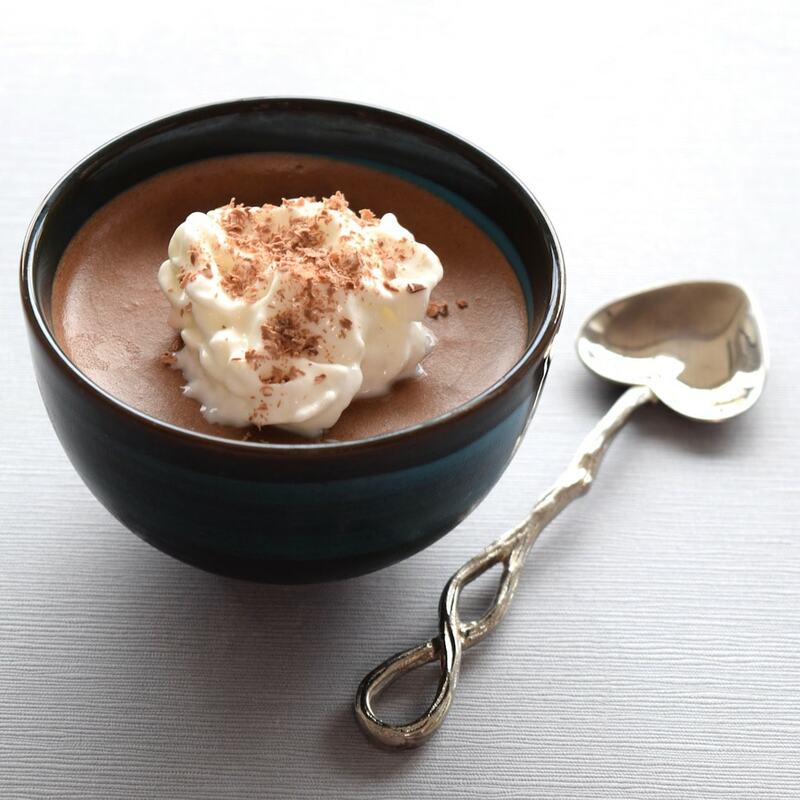 Spoon the mousse into a bowl and chill well before serving. 24 hours is probably best. Top with whipped cream and shaved chocolate immediately before serving. *I’m not usually that cautious about raw eggs, but I have a health consideration when it comes to dangerous foodborne bacteria. If you are concerned about salmonella from raw eggs, you could pasteurize them yourself in a sous vide. I chose not to in this case, and just skipped the raw egg whites.